The media coverage of the King Richard III discovery has been riveting! And the related notion that perhaps Richard Armitage might really get to pursue his dream of a new King Richard III film is more hopeful. 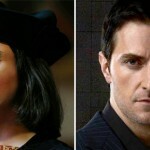 It would be lovely if Richard Armitage could portray King Richard III. And the King Richard Armitage initiative is a wonderful fan based grass roots efforts to support that.